Good news for the students of UP Board Class 10th. 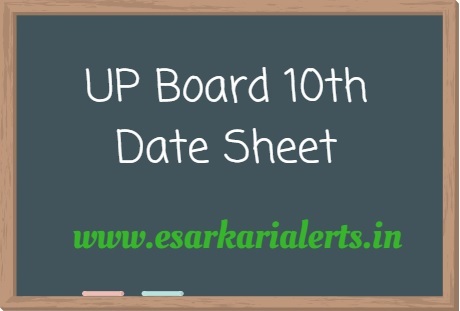 The Uttar Pradesh Board of High School and Intermediate Education has released the UP Board 10th Date Sheet 2018 on 27th October. This is great information for those students who are pursuing in High School from the Uttar Pradesh Board. Normally, the UP 10th Exam Schedule is released in the month of December but this year, the Uttar Pradesh Madhyamik Shiksha Parishad has declared the UP Board 10th Exam Dates in the final week of October. Lakhs of students are registered for the upcoming Uttar Pradesh High School Exams 2018. At the moment, those scholars are busy in the preparation for these exams because marks of the board exams are very important for their career. 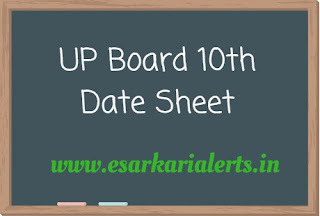 Such candidates are looking tensioned about the UP Board 10th Date Sheet 2018 because they want to make a plan for the examination that will be helpful with the assistant of this examination schedule. So, we want to inform to those students that their date sheet is issued now by the Board. First of all, students need to open the official web portal i.e. upmsp.edu.in. Now, click on the appropriate link to your date sheet. The exam scheme will be available on your screen. Finally, download the UP Board 10th Exam Scheme PDF 2018.